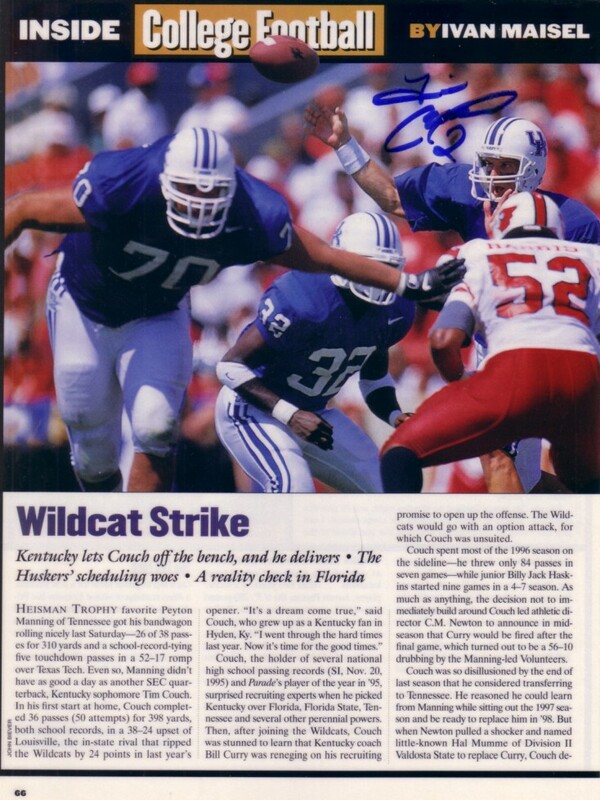 Original Sports Illustrated magazine page with large photo of former Kentucky Wildcats star quarterback Tim Couch, autographed by Tim in blue marker. Laminated for protection. With certificate of authenticity from AutographsForSale.com. ONLY ONE AVAILABLE FOR SALE.